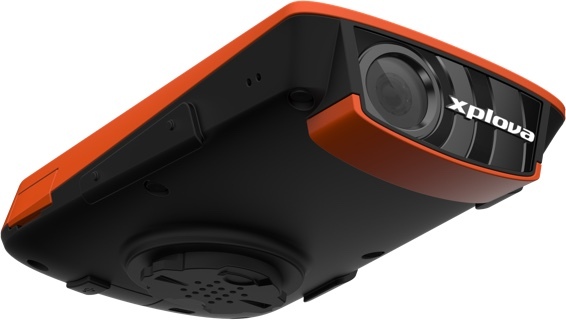 Wide-angle camera on X5 will automatically activate and record those big “Moments” on your biking journey, such as when your heart rate or speed exceeds pre-set number, or when approaching Smart Signs such as mountain peaks or points of interest. Click and choose Moments to be broadcast, confirm by on-screen button to generate video, then easily you can upload and share the live story of your every pedal. Track live location of your fellow riders; make it easy to have fun and safe biking as a group. Share the sweats and laughs with your peers. 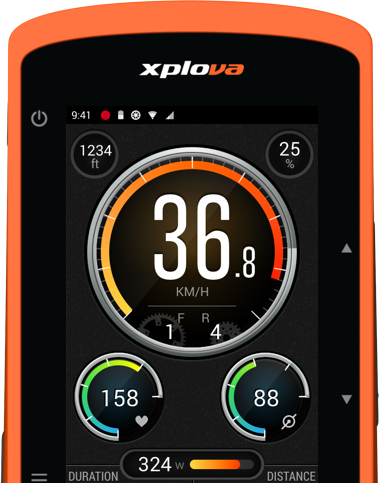 Xplova X5 can sync and store those routes you keep in Xplova.com, and perform Smart Sign Guidance when you’re on the bike. It gives you accurate direction on every junctions of your route, and keeps you on top of the upcoming Smart Sign, such as distance to next wait/rest point, distance to next slope and its length and elevation, etc. 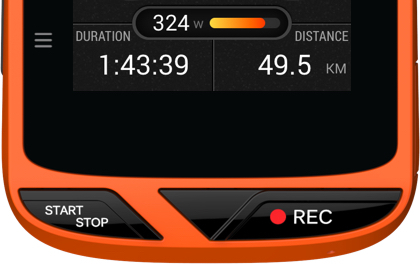 Capture cycling data at a glance, including strength gauge, cadence, heart rate, speed, etc. gear position, distance, duration, heart rate, speed, etc. Optimize your training pace with ease. Superb UI design with both “touch” and “button” functionality, allow you to operate X5 under various weather or sport circumstance.